Omaha FCU wants your car buying experience to be the best possible for you. Whether you are looking for a new or used vehicle for yourself or another member of your family, Omaha FCU offers low-cost financing with terms that will fit your budget. Apply Online. Tips to help you prepare for your trip to the dealership can be seen by clicking on the “new car buying coach” and “used car buying coach” above. Before you step into the dealerships showroom, make sure that you research the vehicle that you are interested in and calculate what your monthly payment will be. You can also get pre-approved for your loan thru Omaha FCU click here. We have provided you with links to some excellent websites to help your decision making. CUDL AutoSmart, AutoPREMIER, Enterprise Car Sales, Invest in America, Edmonds, NADA and Car and Driver. You can even review auto insurance information and request an insurance quote for your new car through MEMBERS Auto & Homeowners Insurance Web Site. Omaha FCU also offers gap and warranty packages at below market rates along with option to purchase credit life & disability insurance on your loan. Well, to Omaha Federal Credit Union of course! You can be sure our loan officers will work with you to put you into the car of your dreams with a great loan rate and term. Apply Online or call one of our Loan Officers at (402) 399-9001 Current rates. Through CUDL AutoSmart and AutoPREMIER, we are able to provide you quick and efficient service when purchasing your next vehicle. 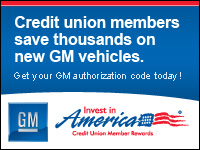 Now when you purchase a new, used or leased vehicle through any participating CUDL or AutoPREMIER dealership, you will be able to do all your Omaha FCU loan paperwork right at the dealer. No more faxing documents or coming to the Credit Union to sign loan paperwork. It’s one-stop shopping, saving you time, money and gas. But best of all, you’ll be able to take advantage of our low-cost financing. Currently there are over 25 metro area dealers participating in CUDL AutoSmart and AutoPREMIER, with more dealers joining every day. Click on CUDL AutoSmart and AutoPREMIER to find out what dealers closes to you are currently participating in these programs.